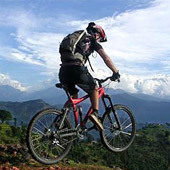 Chitwan is the first national park of Nepal established by the royal family. 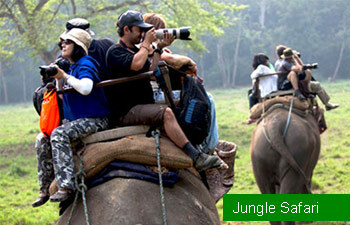 The heart of the jungle, Royal Chitwan National park is one of the premier drawcards in Nepal. It protects 932 sq km of forests and serves as a home to sizeable populations of wildlife. Do go for your elephant safari or give an elephant a wash in this UNESCO recognized natural world heritage reserve. Boudhanath is one of the stupas of Buddha which is located in the heart of Kathmandu it is also an important place to visit in Kathmandu valley. Swayambhunath is also one of the places of interest in Kathmandu where the big eyes of Lord Buddha on stupa structure continuously gaze around. Next visit the cultural center of the city Patan Durbar Square, find the ancient palace and temples from Malla era. 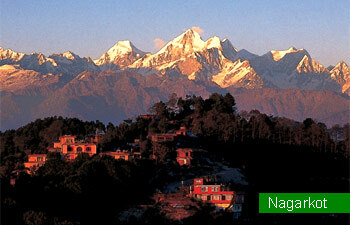 After sightseeing, proceed to Nagarkot for the views of sunset in the evening. Overnight stay at hotel. After breakfast drive to Pokhara (6 hrs. drive). Optional activity: Rafting in the Trishuli River on the way to Pokhara. 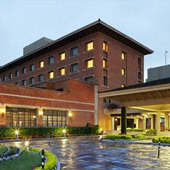 Upon arrival, check in the hotel for overnight stay. Early morning drive to Sarangkot hill to witness the sunrise and Himalayan range views. After breakfast, half-day sightseeing to Binadabashini temple, Davis falls, Gupteshor Mahadev Cave and views of Phewa Lake. Overnight stay. After breakfast, drive from Pokhara to Chitwan National Park (4-5 hrs. drive) for world famous Jungle Safari. 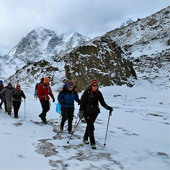 Upon arriving here, check in the luxury lodge for overnight stay. Full day jungle activities like elephant back safari, cultural tours, canoe ride, elephant bathing, visit elephant breeding center, Bird watching and Nature walk. Sunset view from river beach also will be one of the unforgettable moments of your life. Overnight in lodge. After breakfast, drive from Chitwan National Park to Kathmandu. Overnight stay at Hotel. Optional activity: Visit Manakamana Temple on the way to Kathmandu. In time drive to the airport to board the flight for onward destination.